What makes the Tak Epsilon 180 Astrograph special? It's in the newly designed extra-low dispersion two element corrector housed in a rotating focuser assembly. No one knows optics like Takahashi and the ED design provides incomparable contrast and sharpness - combined with extreme accuracy. Not only is it a suitable visual instrument, but it's one capable of producing 10 micron stellar images across the entire super-flat field. The speed means your exposure times become a fraction of what they would once require to capture the image and that means even less chance of tracking errors or random chance affecting your astrophotography. Super solid, heavy duty construction means transportable gear that won't lose its collimation. 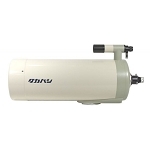 Its mechanical design quality, perfectly matched with its optics, give you set-up flexibility that's hard to match in other astrophotography oriented telescopes. Now you can make initial collimations and install your photographic equipment in advance - saving your precious dark time to concentrate on the essentials - to set your imaging process. 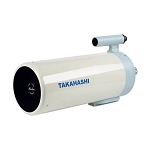 This fast control of your telescope put the Takahashi Epsilon-180ED Astrograph ahead of its class and makes your experience a much more pleasurable one. The low profile Crayford focuser has a rotary connector system for framing. It allows you the option of use when it comes to the ED corrector assembly and it can be removed if desired. A microfocuser (MEF-1) is available as an optional accessory. In place, the Crayford and corrector will yield a 44mm (1.7") flat field image circle, large enough to cover a 35mm sized CCD chip. The effective focal length of the Takahashi Epsilon 180ED Astrograph is 19.7" (500mm) and its metal back distance measures 2.2" (56mm). The perfect correction of field, covering the entire image circle, is shown in the spot-diagram . The diffraction pattern almost does not present a residue of coma in periphery. In the same way, the 4-lenses corrector practically does not generate any chromatism. The Takahashi Epsilon-180ED Hyperbolic Flat-Field Astrograph telescope design isn't as strenuous on the user. Because it's not a high-resolution reflector, it is far less sensitive to collimation issues. 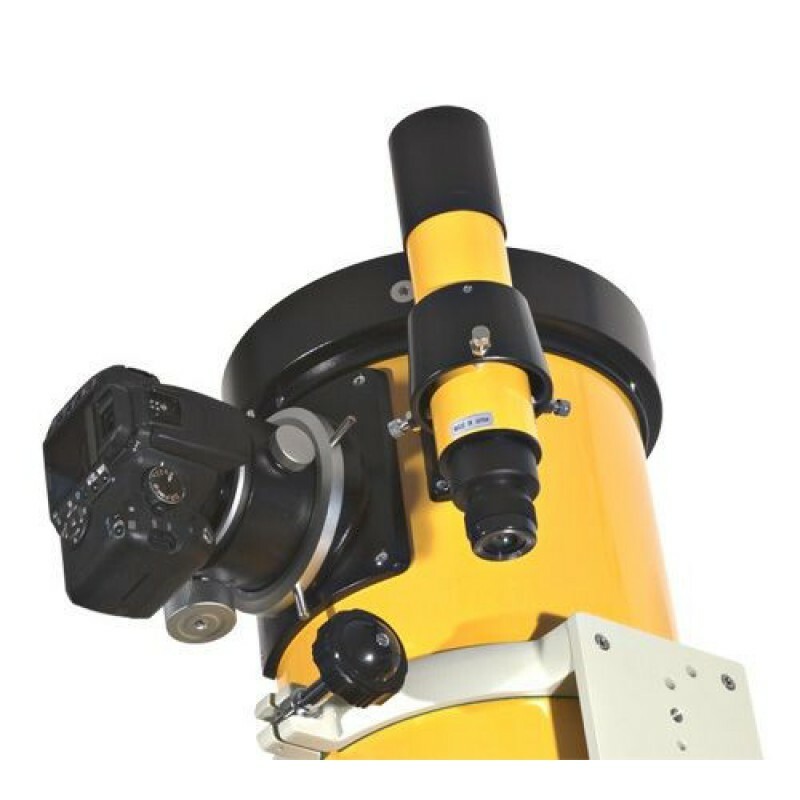 Unlike the Cassegrain-style, it isn't necessary to perform a star collimation at every set-up. The primary mirror cell is supplied with three dual-action collimation screws that either push or pull. To keep flexure of the primary mirror under control during temperature change, there are also three screws with counter-nut adjustments to regulate the pressure on the primary mirror. What's more, you'll find there are reference marks on both mirror assemblies to ensure perfect alignment of the optical axis. Thanks to Takahashi, this simple system and its collimation eyepiece created for the Epsilon-180ED, means that critical adjustments are quick, slick and easy. In the long run, you'll be very pleased with your choice of the Takahashi Epsilon180ED f/2.8 Hyperbolic Flat-Field Astrograph. You'll get a superior contrast image with pinpoint stars right out to the edge of the field. Despite being mainly a astrophotography-minded telescope, the Tak Epsilon-180ED will still give first rate performance as a large field optical instrument, too... with huge views of deep sky such the entire Andromeda Galaxy and its neighbors, the Lagoon and Trifid Nebula together, and much more. It's a comet sweeper and a keeper.... and the extraordinary possibilities of your astrograph are unlimited. Dual action collimation screws, mirror tension adjustment and collimation marks make critical alignments fast and easy. The low profile Crayford rack-and-pinion focuser has a rotary system for framing and provides 56mm of backfocus from the end of the corrector. Extra-low dispersion two element corrector combined with hyperbolic primary mirror produces flat field images with no coma or chromatism. 180mm effective aperture provides a light grasp of 661x at a limiting visual magnitude of 13.0 with an outstanding resolution factor of 0.64 arc seconds. Focal length of 500mm and focal ratio of F/2.8 yield 44mm image circle - 60% not vignetted. M54mm female thread photographic connector on the corrector (for wide T-mount) included. Tube Dimensions: 570mm/22.4" (length) - 232mm/9.13" (diameter) - 22 lbs/10.7 kg (weight). The Takahashi Epsilon 180ED is an astrograph boasting ultra fast f/2.8 optics and a flat photographic field. Introduced in late 2005, this Epsilon 180ED is latest in Takahashi’s famous Epsilon line. This review details my experiences with this astrograph in the area of DSLR photography. 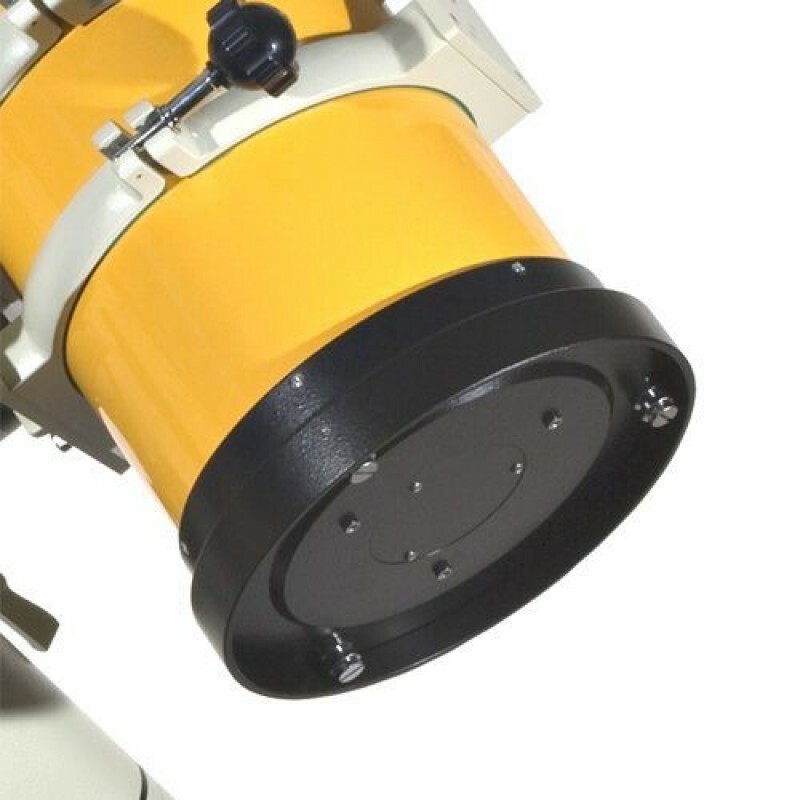 The Epsilon 180ED is fundamentally a highly corrected Newtonian with a fast hyperbolic 180mm (effective aperture) primary mirror and a two element “ED” corrector located in a rotating focuser assembly. 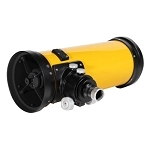 The scope is attractively clad in an outer tube powder-coated with a rich warm yellow color. The construction is solid and heavy duty. You should not expect collimation loss once properly set unless you plan to parachute out of an airplane with this OTA. The OTA is around 22lb, but throw in the various accoutrement such as rings, finder, dovetail plate, camera, and you have the working weight quickly ballooning to over 30lb. With my DSLR astrophotography setup, I am loading about 34lb onto my mount. 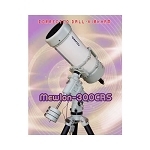 CCD users can easily approach 40lb. While this is not exactly hernia city, you need to be aware of lifting and mounting such masses at shoulder level. What this also means is your mount and tripod become important factors if you are considering this astrograph. I view the Takahashi EM-200 (which I had) as on the borderline of inadequacy except on calm imaging nights. The Takahashi NJP, Astro-Physics Mach1GTO (which I currently use) and the Losmandy G-11 are sensible options. Optically, you are looking at a fast f/2.8 system with a published 44mm image circle. As claimed, I found star images to be impressively pin point across the entire edge of my APS-sized Canon 20Da chip. First off- do not buy this scope for visual use. It is meant to be used as an Astrograph. There are cheaper and more optically suitable options for visual use (although none of your options are banana-yellow). Sure, you can look through the Epsilon 180ED with the attached ocular accessories, but it is not any better than an Orion reflector costing thousands less. Attachment to my Canon 20Da DSLR is easy and simple, using the Takahashi wide mount EOS T-ring which is the same one used for the Takahashi Sky 90 II. There is provision here for my IDAS LPS 48mm filter. I’m not a rabid fan of the Tak wide mount accessory- it is two pieces mated and held by a set screw that serves little function except to be accidentally released in a tired stupor at 4 am when one’s logical reasoning and fingers report to different departments in the brain. Adequate cool down is necessary for the optics to reach thermal equilibrium. Do not set this OTA up in the sun (even the late afternoon sun) as the interior heats up fairly quickly and then take its own sweet time giving up the Joules. Images do look pretty bad if the mirror is not at equilibrium. My imaging setup involves a DSLR mounted on the focuser and a SBIG STV head (in eFinder mode) on the top accessory plate. The Takahashi rings and top accessory plate are well made and recommended. I also attach a 7x50 finder to the OTA. The focuser is a low profile Crayford configuration with a removable ED corrector element. The outer assembly is held captive at the base by a large “Captain’s wheel” that allows free rotation for image framing when loosened. I found this construction inadequate. When the Captain’s wheel is loosened, the focuser tube can rock. If you are not aware of that happening, you run the risk of re-tightening the adjustment wheel with the optical train now out of alignment. With the fast optics, you really do not have any room for error here. On my first night of imaging, I loosened the adjustment wheel and under the weight of the camera, the focusing tube sagged out of alignment. I ended up with a frame with only 20% center stars pin point and the rest horribly deformed, stretched and out of focus. A web search shows some of the expert CCD users have fashioned their own alternative focusers assemblies to securely hold their CCD cameras. For me, I do have a work around: when you loosen the spoke wheel to adjust the camera angle, apply a light inward pressure to the focuser (I gently press my camera inwards). This will prevent the camera and focus assembly from tilting out of alignment. Of course, do be sure that your focus lock is screwed tight so that you do not change critical focus. It takes a bit of practice to do this but now it is habit with me. Happy to say, all my images are currently and consistently spot on sharp edge to edge. I might also venture a note that as I have one of the earlier editions of the 180ED, improvements might have been instituted since then. While star images are relatively sharp to the edge, the optics is not flat field. What this means is that I have to use flats in my processing workflow. Absolutely must. What is more, the area of illumination is not centered and symmetrical, thus the flats are dependent on the camera angle. Using the good ‘ol white T-shirt approach and a suitably cloudy day, I have build up a set of flats according to 9 possible camera positions. I just keep track of the camera position in my notebook during imaging. I have found this to be adequate in my processing work. True, it is a bit of a pain to set up a multi-position flat library but it is a once-only thing, and the results of good flat field processing are always rewarding. Imaging software such as ImagePlus and MaxIm DSLR handle flats, bias frames and darks in an automated manner. Ah yes, unless you have been gifted with the hands of a Swiss cuckoo clock maker, you will need the Takahashi 10:1 fine focuser to prevent mental breakdown. It works very well indeed with the Epsilon 180ED. Installs in seconds. Initially when I was not aware that the focuser was tilting out of alignment, I thought that the optics were out of collimation. Picking up the instruction manual, I found the “Engrish” anguishly unintelligible. Even after the aid of some cold beverages, the hidden DaVinci code did not reveal itself to me. Thankfully my optics turned out to be in perfect collimation. If it ain’t broke, don’t fix it. And if it is off one of these days, it’s headed to Art and Fred at Land, Sea, and Sky. Stitched mosaic from 4 composite frames. Individual exposures of 2.5 min. Sure it is, although I believe that speed in imaging is not everything. Optical characteristics (such as focal length) of your imaging instrument must be carefully matched to your camera chip for a particular class of object you are interested in imaging. For me, the Epsilon 180ED does satisfy my wide field work. Let me explain: I only get to go up to the mountains once or twice a month to image. Time up there is very precious, factoring a 2.5 hour drive there and back. The Epsilon 180ED allows me to image and build complex mosaics in a reasonable and productive manner given my very limited imaging time. I’m very happy with how this scope performs, and I am impressed with the edge-to-edge performance of the optics. A quick note here- unless you are out in the major boondocks, sky fog and sky gradients become a consideration with fast wide field optics. On the Blue Ridge Parkway, sky fog limits exposures on my Canon 20Da at ISO1600 to around 2.5 to 3 minutes. I used to image at 6 min with my refractors at f.4.5. I’m happy with the performance of this astrograph. While I would have preferred a different camera angle adjustment design, it works fine with the measures I mentioned above. 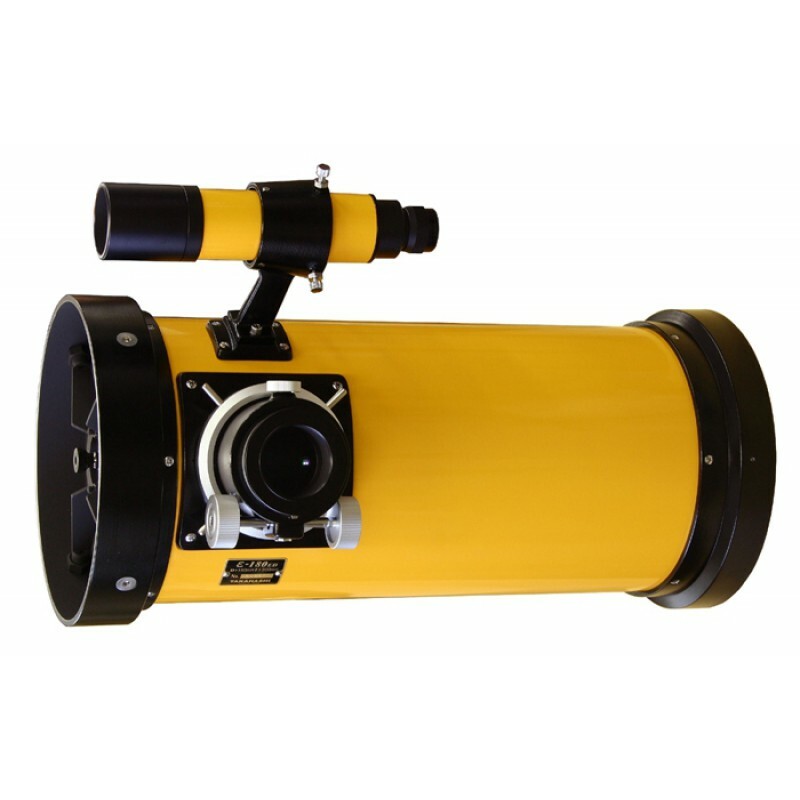 For wide field astrophotography in the 500mm range, this tubby yellow OTA affords outstanding imaging performance at a very reasonable price point. It’s a keeper.